How to approach form layout. Form usability is greatest when the layout of the screen is clean, simple and clear. To achieve this, start with a blank screen and think carefully before adding each visual element. 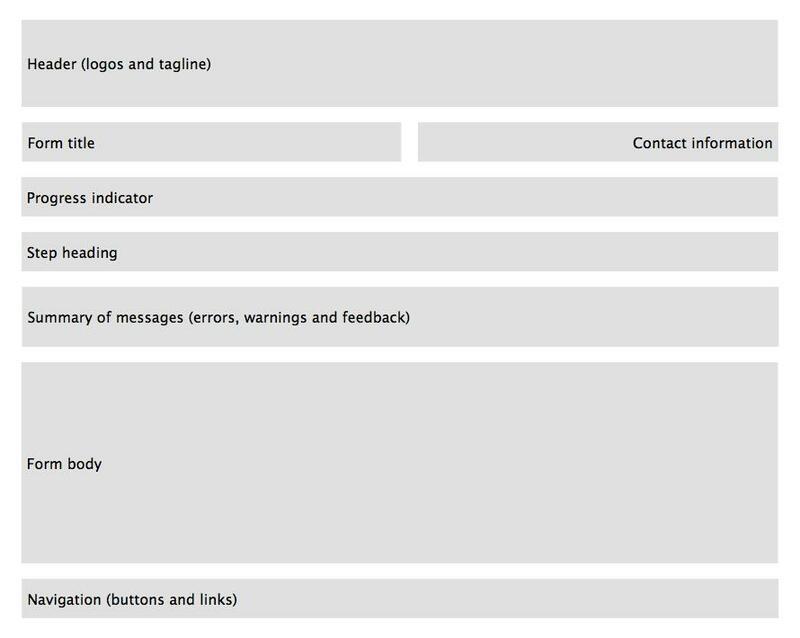 Only add elements if they help communicate with the user. For instance, colour should be used sparingly, and only to convey brand or to highlight (for example, main action buttons and error messages). Remember, each visual element you add has to be processed by the form-filler’s eye and brain, increasing cognitive load and error rates while decreasing completion times and user satisfaction. Below is a form that has been laid out in this way; main edges are marked. Even with good alignment and no more than four different text field widths, there are still nine edges on the screen. Once a form-filler enters a multi-step form process, we want to do everything we can to help them get quickly and successfully to the finish. This includes minimising distractions and the chances of accidentally leaving the form. The term 'slick pipeline' refers to the creation of this streamlined view of the form, to help propel the form-filler from the start to the end. Editable answers are answers the form-filler can change. In the body of a form, standard form fields are in their editable state. The opposite is answers that are not editable. 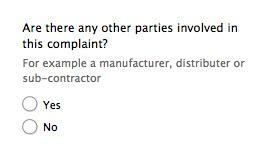 This includes answers presented back to the form-filler at the review stage, or other data that can't be changed. Present editable answers via standard form widgets in their default state, with a white background. 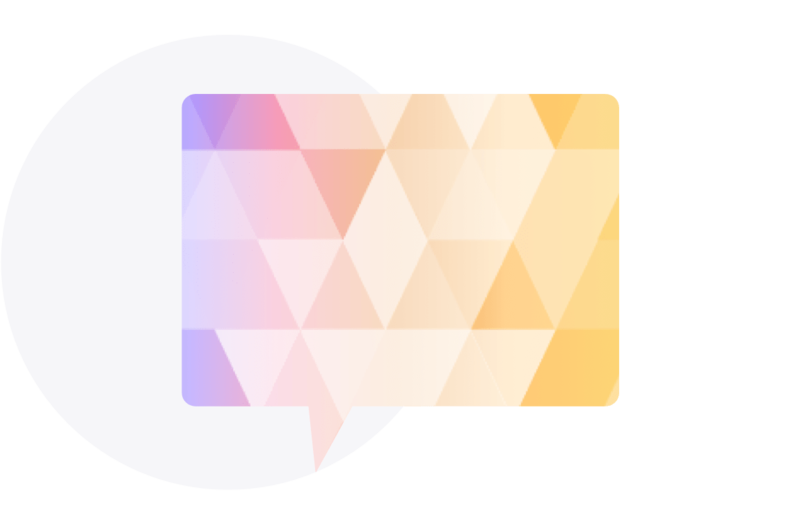 Question styling shouldn't change, regardless of whether or not the answer is editable. In some cases, answers may be provided for the form-filler. This is 'pre-populating' 1 or more form fields. 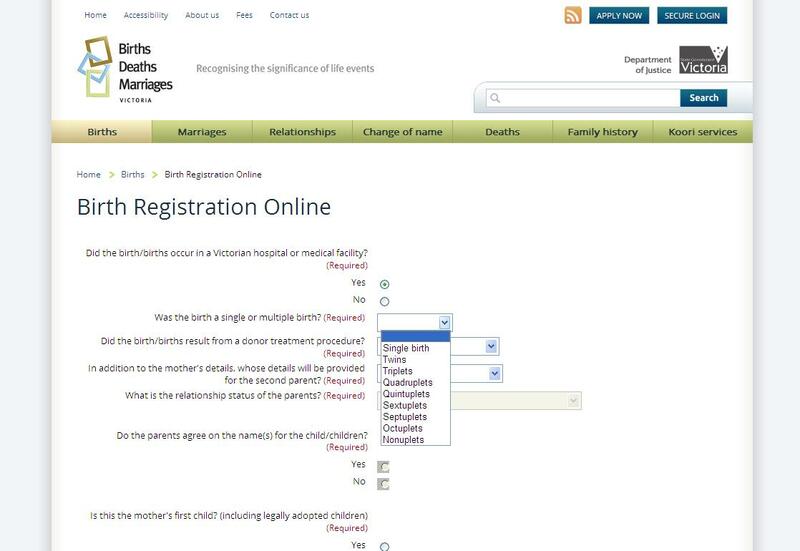 A field may be pre-populated with information already provided by the form-filler (for example, current address) or a default selection (for example, state of 'VIC'). 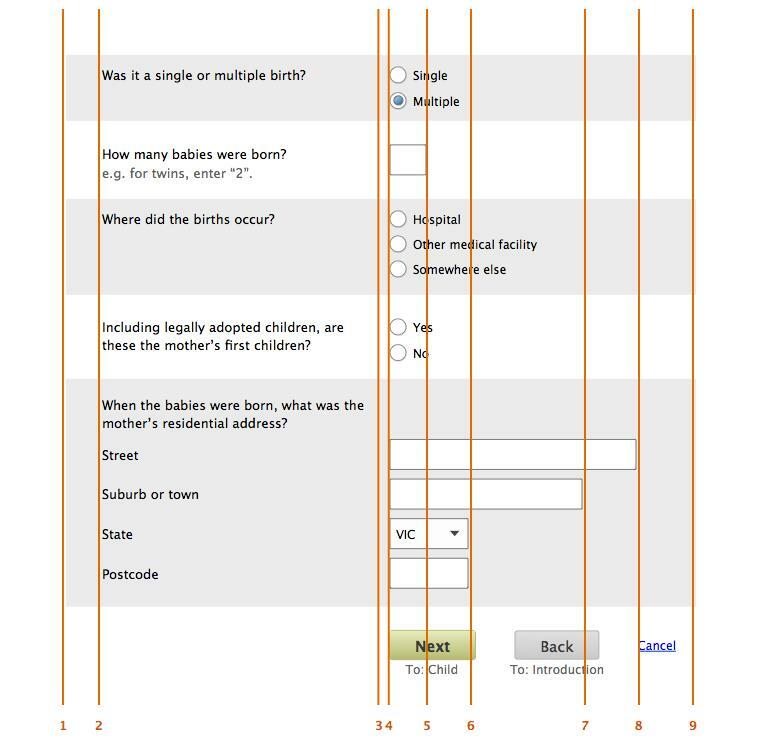 When possible, pre-populate forms with information already provided by the form-filler. 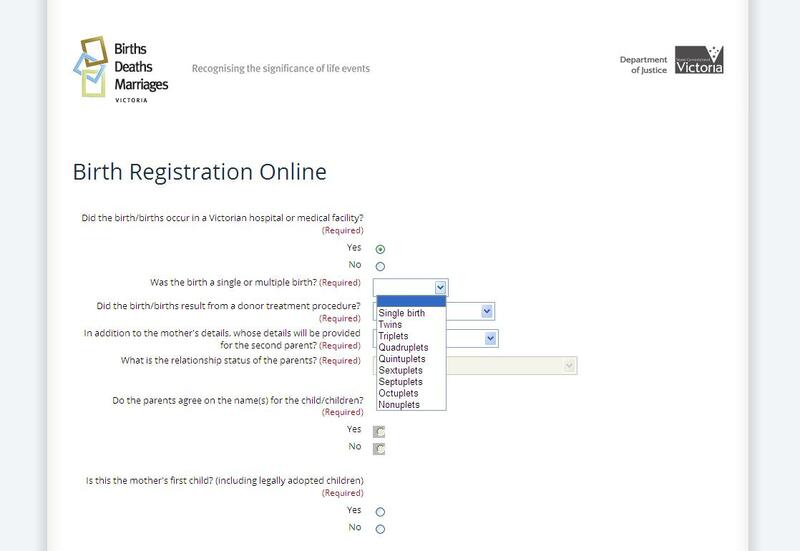 For best practice guidance, see Defaults (see Q&A in forms for more information). Pre-population shouldn't change the styling of a field in any way. Every form screen has the same overall structure, as illustrated below. Note: on mobile/small screens, the progress indicator should be a simple heading indicating which step the user is on, and the total number of steps in the form, for example 'Step 1 of 5', 'Step 2 of 5', etc. On mobile/small screens, contact information should appear below the form title. On larger screens, the container for the whole structure — but not necessarily the individual components — should be centred on the screen. The tab order for the form should be set to reflect this visual order (with contact information coming between form title and progress indicator). Effective help is timely, useful and complementary. Using this approach, there should be no or minimal need for separate help files or FAQs, 2 notoriously unusable interactions. Help must provide information useful to the form-filler, while attempting this specific task. Research repeatedly shows that in a huge number of cases, instructional and help text is not read. 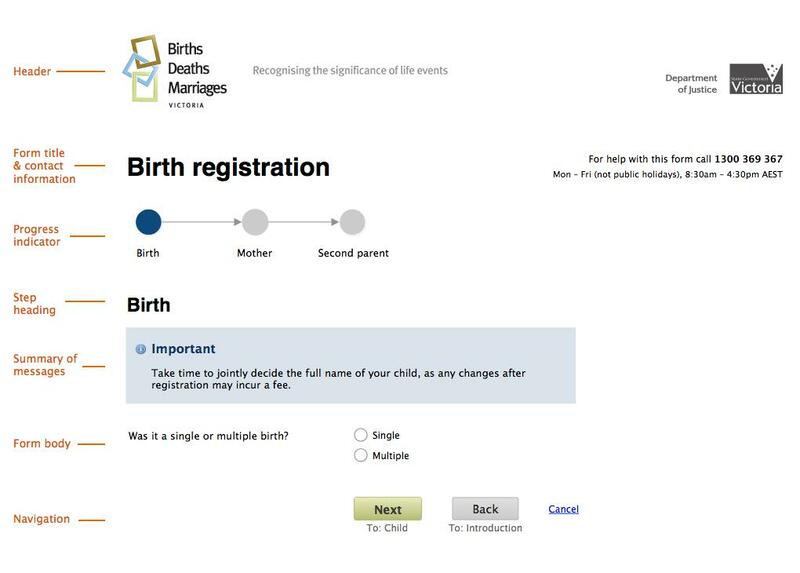 Because of this, help should assist the form-filler, but not be necessary to complete the form. Sometimes assisting the form-filler is about reassuring them, for example, if a question is likely to seem strange, intrusive or offensive. All question-level help must go after the question and before the field, so it's available exactly when needed. Question-level help must be shown at all times (that is, not just when focus is on the corresponding field). Use a grey text dark enough for sufficient contrast with the background of the form — including zebra striping — but light enough to be sufficiently distinct from the black used for field labels. A suitable grey would be #646464. Character counters must be shown before all multi-line fields, as follows. Character counters must always be on a separate line from any other formatting instructions. Putting the counter before the field means all form-fillers, including those using screen readers, know about the limit before they start to provide their answer. Use the aria-live property to announce with screen readers when the limit has been reached. Don't automatically truncate, as this behaviour may not be seen by the form-filler (especially if they are pasting text from another source). The character limit must be set high enough so the vast majority (for example 95%) of form-fillers will never reach it. Get advice and share your insights about this topic with other digital practitioners on the WoVG Digital Group on Yammer (VPS access only).